The Fleet Week event at Moffett alongside the presence of two MV-22 Ospreys for a First Responders exercise was very successful. Representing multiple California Wing squadrons, Lt Teeple, Capt Joshua Edwards, and Maj Luneau were present. 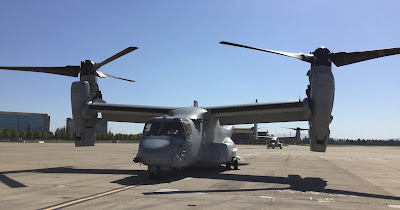 Major Luneau flew in the 2013 T206H from Auburn, which we positioned very close to the 129th ANG Wing and the Ospreys, which flew in from Miramar. 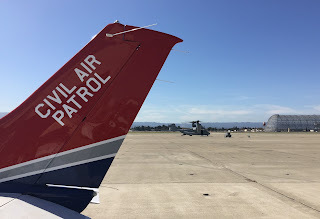 The Osprey exercise was to demonstrate the ability to convert it to a mobile hospital room for air rescue operations that can be deployed by CalOES and FEMA who were represented in large numbers. The presence of CAP was appreciated by Fleet Week organizers, and future partnering is welcome. I met the Fleet Week executive leadership to discuss future participation and it was stated that they look forward to partnering with us in the future. Lt Teeple’s brother, James Teeple, the Program Manager for the V-22 with Boeing, was instrumental in positioning our partnership with Fleet Week leadership. 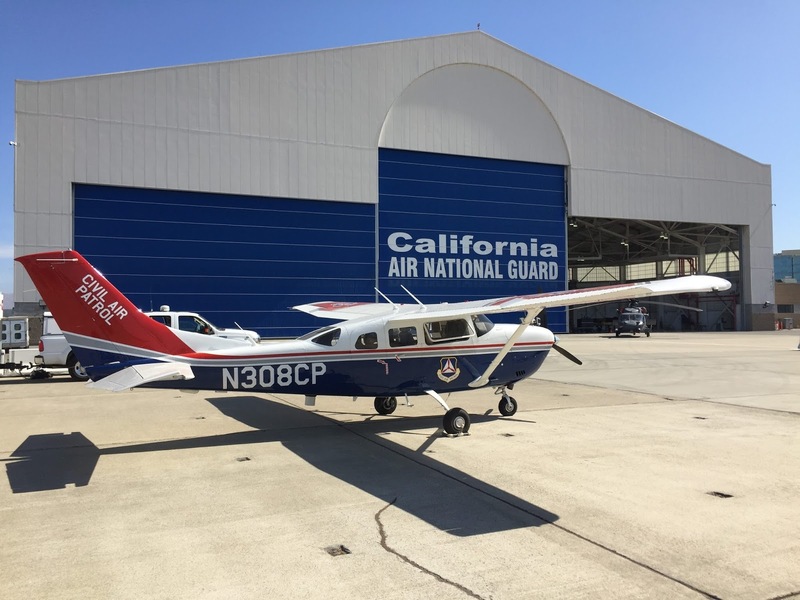 They understand that CAP can bring more assets for static display or operational demonstration with more advance planning. Many Marines, Air Force and CalOES officers and crew learned about CAP as an important component of the CA First Responders portfolio and as part of the total Air Force capabilities. Organizing for Fleet Week 2016 kicks off in April, so it’s not too soon to start thinking about next year. We would like to send a thank you to Lewis Lueben, executive leader of Fleet Week, for supporting our participation.